Even though factors like gender and race separate us all, diseases such as breast cancer affect everyone. According to BreastCancer.org, the average woman has about a 12 to 13 percentage risk of developing the disease. Lesser-known fact: while woman are already at a high risk of developing malignant breast neoplasm, men (oh yes) are also susceptible to getting it. In fact, recent American Cancer Society estimates have about 450 men being diagnosed with breast cancer every year. Again, everyone is affected. Staying on top of our health only serves as a benefit to us. And fortunately, advancements in the tech field have provided us the luxury of doing just that, thanks impart to digital resources that we have access to directly from our smartphone—keeping us alert on everything from groundbreaking treatments to scheduled check-ups. 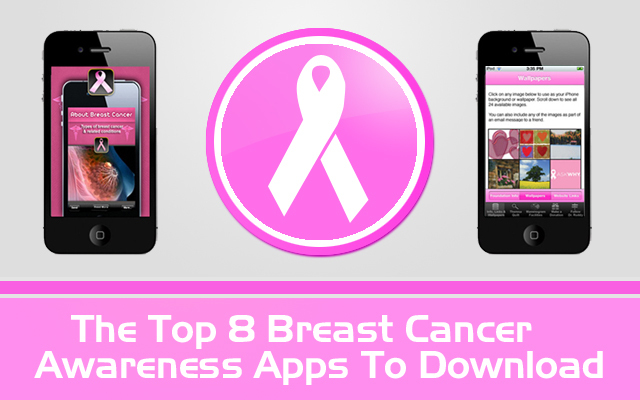 So we ask that everyone show their support for National Breast Cancer Awareness Month and the upcoming Avon Walk by looking over the Top 8 Breast Cancer Awareness Apps To Download. Prevention is key!